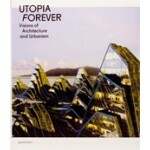 An inspirational exploration of utopias and radical approaches to city planning. The cities in which we live today are unfortunately not the cities that we need for a humane and sustainable tomorrow. Societies and politicians are desperately looking for solutions and ideas for the urban areas of the future. That is why the development and discussion of utopias are–next to sustainability–the most current topics in contemporary architecture. We have learned from the 1960s and 1970s that utopian visions are one of the most important catalysts for fundamental change. Modern wind farms for generating energy, for example, were initially contemplated at that time and are now permanent fixtures in our landscapes. 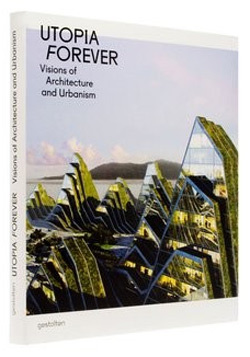 Utopia Forever is a collection of current projects and concepts from architecture, city planning, urbanism, and art that point beyond the restrictions of the factual to unleash the potential of creative visions. In contrast to the largely ideal-theoretic approaches of the past, today’s utopias take the necessity for societal changes into account. 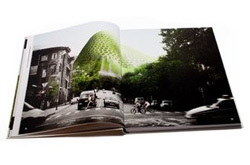 The projects in this book explore how current challenges for architecture, mobility, and energy as well as the logistics of food consumption and waste removal can be met. 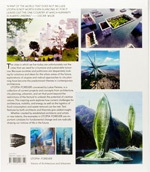 Whether created by established architects and artists or new talents, the projects in Utopia Forever are radically shaping our notions of life in the future. Whether created by established architects and artists or new talents, the examples in Utopia Forever are important catalysts for fundamental change and are radically shaping our notions of life in the future. The current projects and concepts from architecture, city planning, urbanism, and art collected here point beyond the restrictions of the factual to unleash the potential of creative visions. This inspiring work explores how current challenges for architecture, mobility, and energy as well as the logistics of food consumption and waste removal can be met. 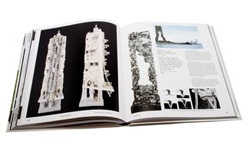 Text features by both architects and theorists give added insight.